Having running water is a convenience we can take for granted. 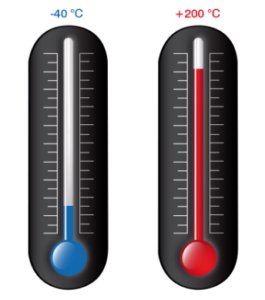 When we start to have problems with the water pressure, we then know how important water pressure is. Maintenance of your plumbing system helps you to avoid surprises like having your plumbing system failing. 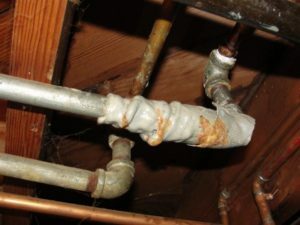 As a home owner, it’s important to know, when to repipe and when not to repipe your home plumbing system. 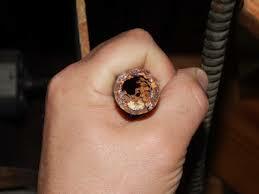 When you have a low or unbalanced water pressure, this is an indication that you have a corroded metallic pipe. 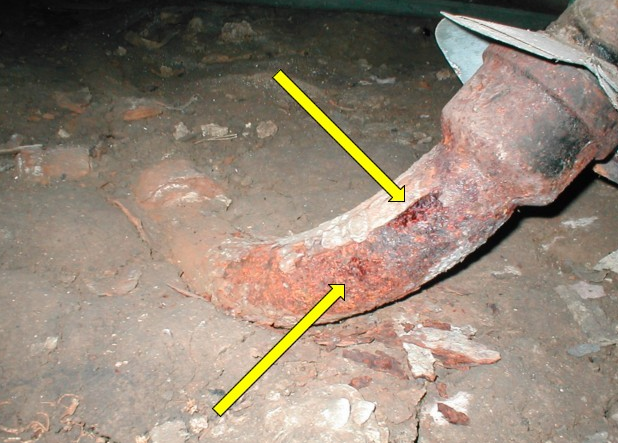 As the corrosion builds up in the interior of the pipe, the output of water is reduced affecting its pressure. Presence of a poor water pressure, is one the common signs that you have a problem with your plumbing system. Therefore, you need to repipe your system. Always check the color of your water, for it tells you a lot about your pipes’ condition. 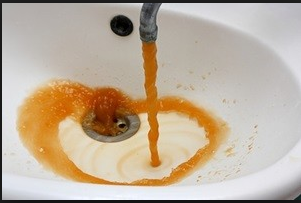 If your water is discolored (brown or has a red tint), when you turn on your faucets and gradually becomes clear. This is an indication that there is either corrosion of the pipes or they are damage. Hence, you need to repipe them. Always take note of the smell of your water, for it will tell you a lot about your plumbing system. When you have either smelling or poor tasting water, this is an indication that your pipes are deteriorating. The smell gets worse as the problem continues to progress. Repipe your plumbing system when you have any kind of odor from your water. When someone flushes the toilet and the water turns scalding, be sure to call a professional to come and check your pipes. When it’s hard to change your water temperatures or there is a wild reaction. For instance, your water suddenly turning to very hot, this is an indication that you need to repipe. 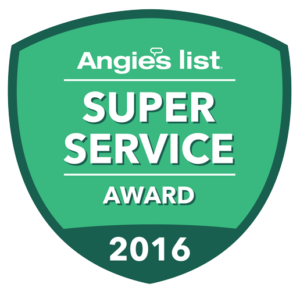 When you have the above mentioned problems, contact a professional to come and inspect your piping system. Repiping your system will help you to save money in the long run. 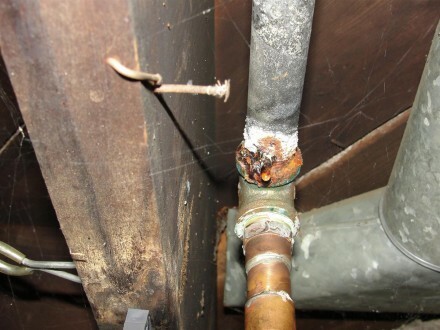 Water leak may cause detrimental problems when occurring in a house. They may involve huge water bills catering for wasted water and other damages including health problems weakening of a house foundation. Well, Searching for a water leak can be a very tedious activity especially for those people that have no knowledge on plumbing positioning. All you need to know is that many plumbers can never search for the leaks. And if you force them to do so, they will charge you dearly on the same. The main source of the water leaks in your house includes the kitchen and the toilet. 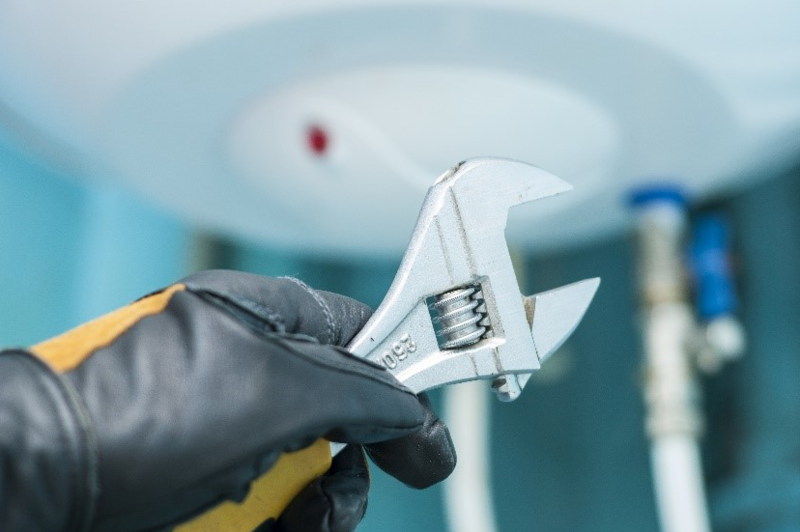 It is therefore necessary to investigate leaks in hot water tanks, toilets, meter line, and the hose bibs. Pressure relief valve is the main source of leakage from the hot water tank. 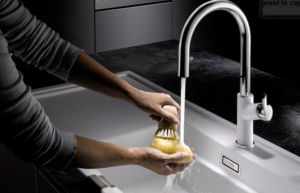 Leakage from those valves that connect directly to a drain may go unnoticed for a long time. A time one may remove the drain to check for a leakage. 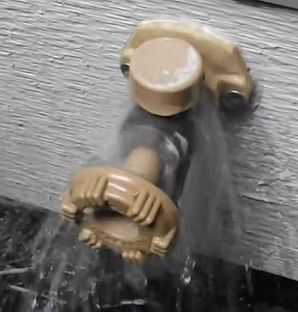 A leaking pipe will produce a hissing sound hence an easy way of detecting a leaking pipe. Listen keenly to any hissing sound from the toilet immediately you remove the top off the tank. Trace the point from which the hissing sound is produced and try to fix the leak. It is advisable to contact a plumber in case you know that you cannot fix the problem as required. What do you do if the toilet leak is not noticeable? Add food color in the tank and wait for the coloring to appear in the bowl. Coloring in the bowl is an indication of a leak in the bottom of the tank hence a leak causing seeping of water. In case of houses with more than one toilet, a repetition of the same procedure should be done in all the toilets to ensure that none of them is defective. Start by temporarily stopping the shut off valve by the house if any. Ensure the meter head is clearly visible by removing any dirt that may be covering it. Remove the lid to find out whether the meter dial is turning. 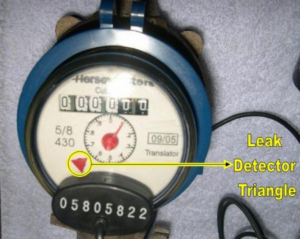 A meter turning is a sign of leakage inside the house. However, if the meter is not turning, then the leaking could somewhere along the meter line to the house. This will happen in case the valve is leaking. All you need to identify the exact point of leakage is to look for such signs as much greener grass at some part than the other or some soft muddy areas. Joining the screw driver metal tip to the hose bib metal part will allow any sound in the hose bib to travel to your ear drum. Use a marker to mark any hose bib from which a sound is emitted and its intensity. The hose bib with the loudest sound is an indication that it is much closer to the leaking unit. The same procedure with a screw driver should be repeated for the hot water tanks, shower valves, sink faucets and the washer. How to find a water leak in your house can be tedious if you do not follow the above mentioned steps as discussed. Be careful therefore not to miss a leak and cause the damages you are determined to avoid. Upon doing the exercise, you will realize that it is easy to locate the approximate locations. 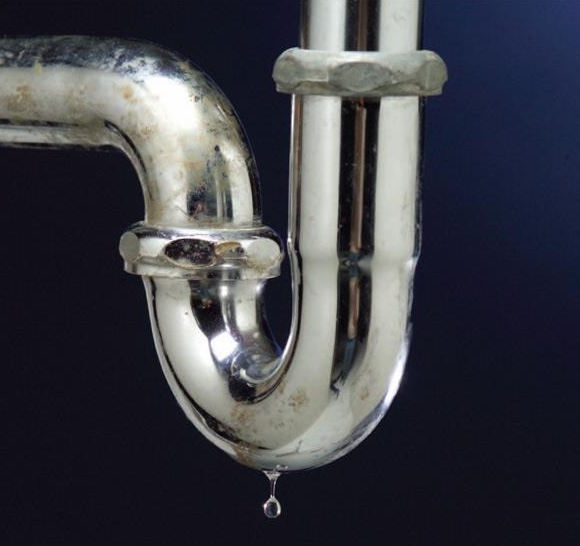 In conclusion, finding a water leak to your house is a key to avoid extra expenses that may result from such leaking. Problems of cast iron sewers is something that needs to be addressed early. Manufacture and usage of the cast iron started as early as 1800’s in the United States. Initially, the iron was used to distribute water after which they started being used in the waste disposal industry. Actually, cast iron soil pipe industry was well established and recognized in 1890’s. Over a long period of time, cast iron piping has proved to be the most reliable and durable pipes that are able to last longer than any other material used to make pipes. The plastic sewer pipes were introduced in the late 1960’s and the early 1970’s. The PVC has become best sewage piping choice since they were introduced. This is because, they are easier to install and produce. PVC materials are also cheaper hence affordable. Well, waste water piping cast iron was still available and found in most homes in the 1970’s. In most of the residential structures, municipal, industrial and commercial applications, cast iron piping has been widely used. There are various problems realized ever since the use of cast iron piping was introduced. The major problems included the differences in the quality that were produced during the early years. Stiff competition among many emerging cast iron waste pipe producers has resulted to inferior products. This is in order to curve on the cost of production. Many producers have resulted on defaulted, defective and non-acceptable pipe brands, to minimize on the cost and maximize on the profit. Cast iron sewer pipes are more labor intensive when it comes to installing and maintaining them. This is because, they require the older methods and skills that are very specific to only the cast iron. Well, most of the plumbers are inexperienced in installation of the cast iron, especially if these plumbers are less involved in this activity. When well maintained and in the right condition, cast iron sewer pipes are able to effectively resist rusting, breaking and shifting. Unfortunately, human activities such as dumping, use of heavy chemicals around and in homes has greatly changed the PH level of the soli making it more acidic. This therefore has led to accelerated corrosion of the underground cast iron sewer pipes, causing seeping of sewer waste. Waste dumped on the sinks and drained down through a drainage cause deterioration of the cast iron pipes from inside. A significant shifting of the soil has led to joint breaking of the cast iron pipes among other damages. The same will occur in case of the movement of a foundation or a building. Others dangers causing shifting and breaking of the pipes include; manual actions such as digging and natural activities such as damage of the tree roots. It is so unfortunate that occurrence of the latter mentioned activities may damage cast iron sewer pipes of high quality hence shortening there expected life span. The problems of cast iron sewers need to be addressed as early as it is identified. Well, the cast iron sewer pipes have both the outer and the inner side. It is important therefore to use a sewer scope to assess the condition of the inside and other concealed parts to ensure that seeping does not occur unexpectedly. 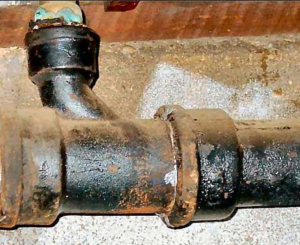 Be sure of the outer parts condition of your cast iron sewer pipes as well for a lengthier service. 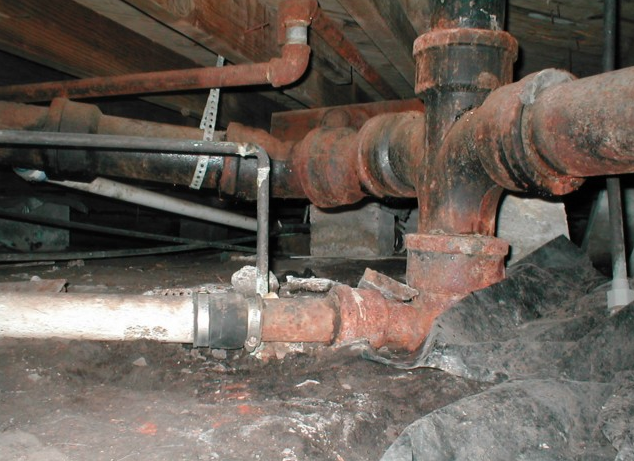 Are you aware of the problems with the galvanized steel pipes in most of the old houses? Well, while buying an old house it’s important to consider the piping material used. Galvanized steel water pipes corrode so easily due to the reaction of the steel with the flowing water. This leads to leakage especially at the joints. The sediments build up with the pipes lessen the size of the diameter gradually, which may finally cause blockage hence hindering water flow eventually. Galvanized piping may however offer the best water flow if they are well used. The water supply pipes in the house should therefore be tested and checked thoroughly and occasionally while inspecting the home. Much attention is required in case of past leaks evident. Water supply materials are made of different materials. These include; copper, lead, plastic and the galvanized supply pipes. The copper and the plastic piping are the most preferred to the lead and galvanized steel. It is easy to identify the water supply piping material used to bring water from the streets to your house in order to avert problems associated with the piping material. All you need to do is to take a look at the water piping adjacent to the first shutoff valve located right before the water meter. Galvanized supply pipe mostly have a threaded fitting. Most of the homes have galvanized water supply. Therefore, a major problem involves taking a shower and doing laundry simultaneously in the same house. To identify different piping materials used in water supply. There are different markings according to the Truth –In-Sale of Housing Evaluation report. For the copper piping, the item is marked as “m”. Other water supply piping such as the lead, plastic, and the galvanized steel is rated as “C”. For houses whose water supply is thoroughly tested and checked, galvanized pipes can be in acceptable condition with acceptable water flow. The city Truth-In-Sale of Housing Evaluator Guidelines test provides basis that one can use to access whether water flow is acceptable. To carry out the test, run both cold and hot water into laundry sink faucet. Run the upstairs shower or any other highest plumbing fixture. 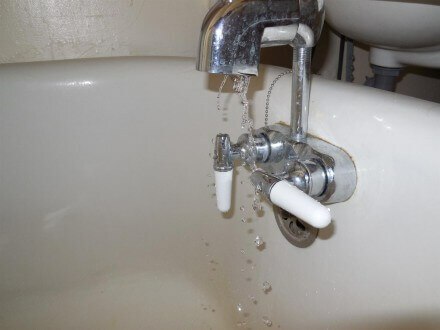 If you realize there no flow of water from the shower or the flow is not sufficient for showering, then there is a big problem on water supply piping. Moreover, no flow on the highest fixtures may also be an indication of old galvanized water supply pipes that need to be replaced. Other reasons could be partial closure of the main shutoff valve. Or even restriction of water flow in the entire house by a water softener.